From the dozens of overwhelming impressions in New Delhi, the Qutb Minar was one of my favorites. Building started in 1192, it is made of sand stone and marble and has many gravures and ornaments. 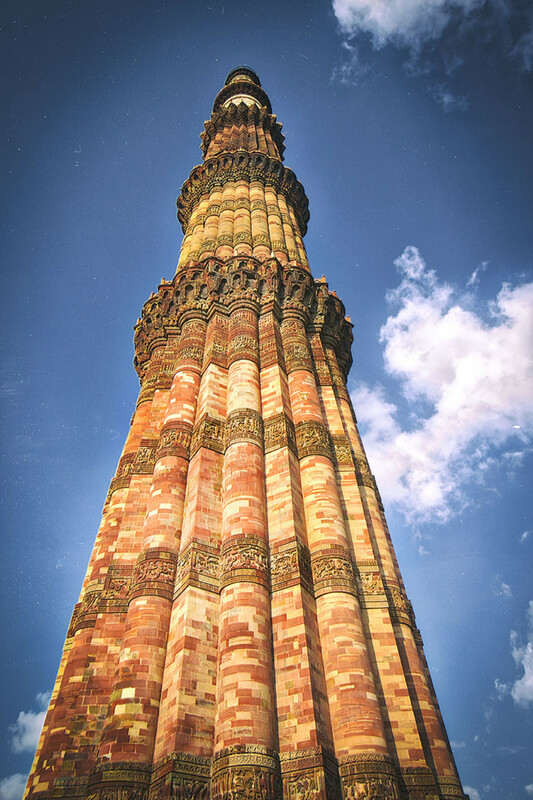 Qutb Minar is a highly frequented area where many Indians as well as tourists from the whole world visit. It was very a hot that day, outside at the parking place, there were some puddles of dirty water, where some of the wild dogs of New Delhi took a bath for cooling down. 🙂 For getting a different look at that photo, I did post processing with Nik Analog Efex Pro 2.